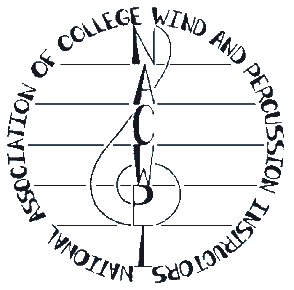 The National Association of College Wind and Percussion Instructors' 2018 National Conference will be held October 11-13, 2018, at the JW Marriott Parq Vancouver in Vancouver, British Columbia, Canada, in conjunction with the 2018 National Conferences of the College Music Society (CMS) and the Association for Technology in Music Instruction (ATMI). Vancouver International Airport (YVR) is consistently rated one of the best airports in North America. There are more than a dozen international flights in and out of YVR every day, with 22 bound for the United States. View a list of airlines that serve the airport, and view a list of flight times to Vancouver from cities around the world. Vancouver International Airport is approximately 8.5 miles from the JW Marriott Parq Vancouver. The hotel does not provide shuttle service to and from the airport and, as of late April 2018, Uber and Lyft services are not yet available in Vancouver. Thus, it is easiest to transfer to the hotel by taxi (@ $30 CAD). Alternatively, attendees may take the Canada Line SkyTrain from the international terminal to the Yaletown-Roundhouse Station (@ $9.10 CAD) and walk 10 minutes via Pacific Blvd. to reach the hotel (walk towards the large stadium, the hotel is located just in front of it). A useful map of the city metro system may be found here. Set against the backdrop of Western Canada's majestic coastal mountains, the JW Marriott Parq Vancouver welcomes you with sophisticated accommodation, inspired service and an exceptional location in the epicenter of downtown Vancouver’s dynamic entertainment district. The discounted conference room rate is $219 CAD per night plus applicable taxes and fees (17.5% as of January 1, 2018) for single or double occupancy. An extra person charge of $30 CAD per night will apply for triple or quadruple occupancy. A credit card is required at the time of reservation to hold a room but will not be charged at the time of reservation. You may make your reservation online by clicking here. The CMS website will host the registration portal. Please visit the CMS Conference Website to register and for continuous updates.